Made of 80% natural granite, SILGRANIT combines the textural beauty of nature with unmatched strength and durability. 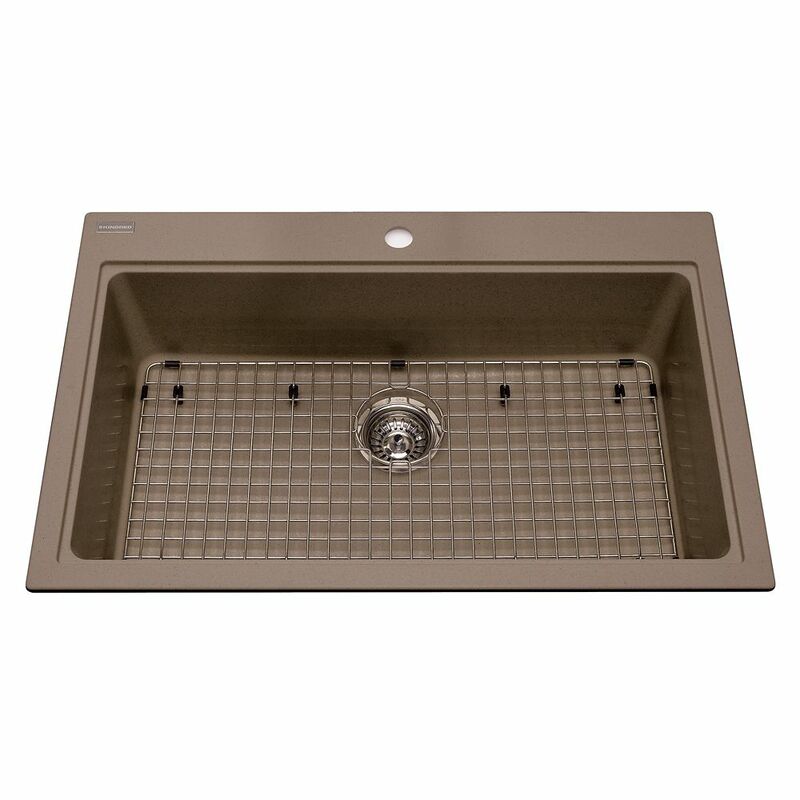 High quality acrylic bonds the material giving the sink an unsurpassed hardness and scratch resistance. Ultra-resistant to chipping and staining, and a heat resistance of up to 280 C - it is no wonder that SILGRANIT has become Canada's leading colour-sink brand. This massive single bowl should accommodate the largest of turkey roasting pans. No longer will you have to cart your large pots and pans to the laundry sink for a good cleaning. With more homes purchasing dishwashers to handle dishware and flatware, the sink is essentially used to wash larger items. This sink is up to the task. Made from SILGRANIT<sup></sup>, a colour composite material composed of 80% natural granite and 20% resin, this material stands up to scratches, stains and chips extremely well. It is an excellent alternative to stainless steel. It provides a heat tolerance of up to 280C so that you can place a hot pot straight from the stove into the sink without any damages. The colour is throughout the thickness of the sink, therefore you will not see any black marks showing through should you have a major accident and create a chip. Cleaning your sink is a breeze with BLANCOCLEAN. We also recommend Vim, SoftScrub<sup></sup> and bleach. SILGRANIT is non-porous and non-fading.